It's finally spring! And the better weather can also reveal some home maintenance work that needs to be done. However, spring chores don't have to be miserable. With binoculars and a keen eye, you can generally spot roof problems. 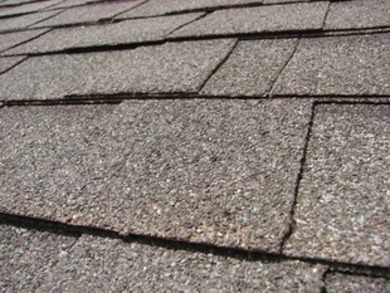 Cracked or missing shingles should be replaced, and if you see any shingle-shift, it may mean you need to install new fasteners. Look also for buildup of pine needles and other debris in those valleys between roof peaks. Whether you have wood siding, stucco or brick, look for damaged areas, especially under eaves and near gutter downspouts. Water stains normally indicate that your gutters are not adequately containing roof runoff. With wood, check for any damaged areas or openings that clear the way for carpenter ants, woodpeckers and other critters. If you have a masonry chimney, check the joints between bricks or stones. Have any fallen out, or is vegetation growing? Both can be evidence of water infiltration. Efflorescence, a white calcium-like deposit, is another sign of trouble. When inspecting poured-concrete foundations, keep your eyes peeled for cracks. If cracks in the foundation exist, routine caulking won’t do the job. You'll want to hire a foundation specialist, who can employ a two-part epoxy injection system that will bond those cracks chemically. Leakage around windows will admit warm summer air and let cooled indoor air escape, so be sure to check that any caulking and weather stripping you have in place has remained intact. If you experienced condensation inside the glass on double- or triple-glazed windows during the winter months, that could mean the weather seal has been compromised, in which case either the glass or the window will need to be replaced. Spring-clean your windows—inside and out—with a store-bought or homemade window cleaner (one cup rubbing alcohol, one cup water and a tablespoon of white wine vinegar will work just fine). Apply cleaner with either a squeegee or a soft cloth. If screens were on all winter, remove and clean them with mild detergent. Lay them on a dry surface (e.g., a driveway) to air-dry before putting them back on. Spring is a good time to check for leaky faucets, clogged drains and sweaty pipes. Check under kitchen and bathroom sinks to make sure connections on pipes and hoses are secure and sealed. Look for water stains around the dishwasher and check washer machine hoses for cracks, bulges or dampness. Just as you readied your furnace for fall, now is the time to make sure that air conditioning units are in good working order for the warmer months ahead. Change the filter, check hose connections for leaks, and make sure the drain pans are draining freely. Search for signs that insects and critters have colonized. Also, search aggressively for mold, which often takes the form of gray or black blotches. Proper insulation and good ventilation will deter mold growth in the attic, so take action now to prevent the problem from developing in the warmer months ahead. Dampness in a basement suggests higher-than-normal relative humidity, inadequate ventilation and the need for a dehumidifier. Check the base of poured-concrete walls for cracks and evidence of water penetration. And use a flashlight to examine exposed framing. If you see what looks like tunneling on the wood, call a pest control company. Look for warped, loose or splintered boards, and do a good sweep to remove any leaves and debris that might have accumulated between boards. If the finish on your wood deck is faded or worn, now is the time to clean, stain, and reseal it. If you have composite decking, follow manufacturer's recommendations on seasonal care. Exterior Specialties of PA is here to help with all of you exterior wall maintenance, roof maintenance, roof repair, window repair and window maintenance needs. Call us today at 215-453-9180 for your FREE estimate!